or launching an app for fitness lovers and many more. Of course, everyone loves their idea. But, not every app out there creates wealth for its owners. When I say wealth, I mean at least $2000 per month. So, what are the problems ? Taking up a bad idea and launching it only to realize later that no one wants it. Not able to monetize their app and generate significant revenue from it. Getting stuck with only few downloads. But, what if you knew how to tackle each of these problems. You will be able to make a good money if your app worked…. … Atleast you will gain the experience even if the app couldn’t work out. Before jumping into the process, let me share a true story of a person who loves cars and likes the idea of passive income which motivated him to get into developing apps. whose first mobile app got him 2 Million downloads and generated a revenue of $50,000+ within the 1st year of launch. Ankit, while pursuing engineering, realized that he was just killing time and avoided facing the reality by playing computer games. However, he was desperate to change his condition, so, deleted all his games & movies and got into android development. After being mesmerized by the music player in his brother’s Nokia Lumia phone, especially by its User Interface(UI), Ankit was left disappointed when he realized that his Android phone and the Google play store did not have a music player with as beautiful UI as the one on the Lumia phone. Having searched for music players in the play store, he noticed that many of them had over a million downloads which made him realize that many people try out music players which meant there was a demand for it. So, Ankit set out to make an app with a simple idea, a huge demand, and not only a beautiful app but also one of the best in the market. That’s how he ended up creating a music player app called La Musique , which in French means ‘the music’. Below is a snapshot of his earnings in the first 6 months of the launch which is approximately $8000. In the next 12 months , his earnings from ads was roughly $50,000 and subsequently, in the year 2016, his earnings were estimated to be more than $100,000. Also look at my own income reports from blog – that is nothing in front of what Ankit is earning from his mobile app business. Below is another snapshot showing a steady increase in his downloads from the month of launch to one year after launch. Currently, the app still continues to grow with a user base of more than 4 Million. But this success which Ankit got did not happen overnight. Ankit worked really hard, spent many sleepless nights, and was determined to make it big. Now, he is enjoying his dream of passive income, the idea that you don’t have to work for money and is living a lifestyle that involves him working for less than 10 hours a week and a lot of traveling. Now, let’s see how you can also launch a mobile app and put yourself on a trajectory to earning money. If you plan to buy a new car, then you would want to take it for a test drive, right ? Similarly, you must be having some mobile app idea in mind, but before you go ahead and build it, it is very important to validate your app idea. Because if there is no market for your idea, there won’t be any users for your mobile app. No users means no revenue and no profits. You can also find more side business ideas at CashOverflow that can make online money for you. Having said that, you don’t need to have an exceptional idea but just an idea that can work and has the potential to generate profit & wealth in medium to long term. Talking to your potential users will help you gain initial direct feedback for your app idea. It will help you understand the value users attach to it and whether it addresses any of the problems they face. Start discussions on your own social media (Facebook, Twitter, Whatsapp, LinkedIn ) and tag relevant people to get the feedback. Tell people that you have got an idea and would like their opinion on it. I often do it on my social media channels before starting anything. For example, I asked if any of the techies needed my help in content marketing and more than 40 people responded. For the people who responded, I spoke to them, asked questions, and probed further to validate my idea. I helped them with content marketing and they helped me validate my hypothesis. Reddit is an awesome platform for internet communities where you can post questions and gain critical feedback quickly. So, use Reddit to ask people to give their feedback on your app idea and share whether it is a good one or not. Google’s keyword planner tool helps you search for keywords related to your app idea and displays the total number of searches for those keywords. This would help you understand the number of people searching for what you are trying to do with your app. To use this tool you need to sign up for Google Adwords account. Then, login to your account, select tools from the top menu, and then select “keyword planner”. For example, below is a snapshot of the analysis for the keyword “torch app”. If the average monthly searches for the keyword is high, that indicates a high search popularity. A higher search popularity means people are actively looking out for apps related to those keywords and that validates the demand for your app idea. You can do a similar search for your app idea. AppAnnie is a mobile app market intelligence tool that provides information on app store charts, app store optimization, keyword tracking, competitor monitoring, and many more. It has both free and paid features. One of the ways to validate your app idea is to look out for competition. Contrary to popular perception that competition is bad, having some sort of competition is actually good. Competition indicates the presence of a market for your app idea. You can use the free keyword search feature in AppAnnie to find apps on the app store(Google and Apple) that are similar to what you have in mind. For example, below is a snapshot showing some of the current apps in the Google play store for the keyword “file sharing”. You can do a similar search for your app idea. Although, having some competition is good, do check if your app idea has strong or too much competition. In such a case, you can differentiate yourself by having something unique in your app or by choosing a niche within your app idea that would make you a winner. Apptopia is another mobile app intelligence tool that helps you to identify trends, downloads, revenue etc to spot opportunities and competition. It has both free and paid features. Once you figure out your competitor apps or apps similar to what you have in mind, use the free features of Apptopia tool to see your competitor’s download history, revenue, and the sources through which they are making money. This will help you to understand what kind of revenues and download volumes you can expect from you app idea as well. For example, below is a snapshot showing the download history of an iOS store app called Pocket Glasses. Similarly, below is a snapshot showing the revenue details of a Google Playstore gaming app called Indian Train Simulator. If you are interested in knowing exact revenue breakup in terms of dollars or average revenue per users, month wise or year wise, you can subscribe to their paid features. Creating a landing page for your app idea is an awesome way of creating buzz and importantly a great way to test out your idea. Gives you a rough estimate of the number of people that are interested in your mobile app. Gives you an opportunity to directly speak to your potential users and take their valuable feedback. Make use of landing page platforms like Unbounce, LeadPages to create a stylish landing page for your app. Use the free versions of the landing page platforms to set up your landing page. The free versions have limitations in terms of using templates, visitor limit, or their branding on your landing page. But, that should not be a big concern as you are just trying to gauge the demand for your idea. If you want to access all the premium features or are looking to have a landing page for longer period of time, you can subscribe to their paid plans. Once your are done creating your landing page, create a Google Adwords and a Facebook marketing campaign to bring traffic to your landing page. This will help you estimate the demand for your app idea even before actually launching it. This strategy is more useful for people who don’t have any particular app idea in mind or are confused about what mobile app to launch. Go to Google and Apple app stores and search for apps that are no more getting updated. You can do this by filtering and searching for apps based on their rankings. Once you have the filtered results, go to later pages i.e page 4 or greater to find apps that are no longer getting updated. These apps must have decent number of downloads, active users, and may have generated some revenue as well. This is validation of that particular app idea and its market potential. Although, for some reasons the app owner has abandoned it. You can select one such app based on your interest and work to recreate and re launch it. Make sure to go through the app in detail, reach out & speak to users, identify the issues from reviews, and work on making a better app for users. For example, below is a snapshot of a finance app which has 1M+ installs but has not been updated for the past 1 year and has active users complaining about issues. Once you have validated your app idea and are reasonably confident about its market potential, the next step is to develop and launch your app. But, before you go ahead and develop your app, follow the below steps to see that you are actually building an app that is well created and is loved by your users. Sketching your app is the first and the most important step to determine the feel of your app. Sketching your app will help you to figure out what features you want in each screen and how the user experience will be as they navigate the flow of your app. You can sketch the screens of your app on paper by hand drawing it or you can choose a much more richer experience through wire framing tools like Balsamiq, Mockflow, Sketch. Once you have created wireframes or hand drawings of your app, you can make your app screens interactive and lively to simulate the user experience. This way you are creating a mock up where you could navigate across the screens as someone would go through in a real app. Make use of tools like Invision and Marvel (for paper wireframes) to connect one screen to another and to create a mock up app. Make use of the interactive mockup app that you have created to test it out with actual users. Reach out to friends, family, and other people to get feedback on the user experience, navigation, and the individual screens. You can easily do this as Invision and Marvel allow you to create a link of your mock up app that you can share with actual users. During testing of your app, you will come across issues related to screens, navigation, buttons etc. Make a note of those issues and create a revised mock up app fixing those issues. Now, you have an app that is ready for actual development and launch. Once you feel comfortable with your prototype, it’s time to build your app and launch it on Apple and/or Google app stores. You outsource the app development to app development companies or freelancers. Once you publish your app in the iOS app store or Google play store, you want to start making money as soon as you can. App monetization models, therefore, are at the heart of generating solid revenue for yourself through your app. To have a successful app that is monetizing well, it is very important that you have a clear picture of the monetization model that you want to pursue before launching your app. Of course, you can experiment with the monetization models post launch as well but always aim to make a business out of your app. Keeping that in mind, let’s take a look at the 6 proven monetization models that you could implement. While people keep saying that digital advertising will die, the revenue generated from advertising space in mobile apps keeps on increasing year on year. In this model, you give away your app for free and make use of mobile in-app advertising to generate revenue. Everyone loves free apps, so, you use that to your advantage to build a large number of users first and then sell the advertising space in your app to mobile ad partner networks. CPM(Cost per Mile), CPC(Cost per Click), CPI(Cost per Install), CPA(Cost per Action), CPV(Cost per View). Some of the best ad partner networks that you can explore are AdMob, StartApp, InMobi, TapJoy, ChartBoost, AirPush, AppLovin, Fyber. 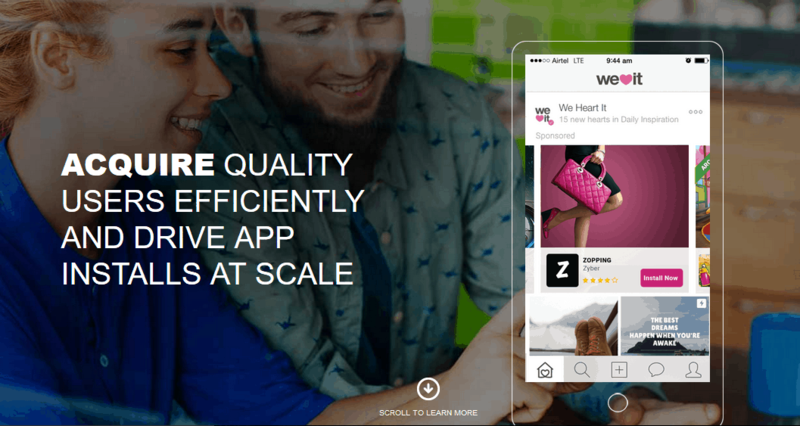 Scope to build a large base of users as everyone loves free apps. Mobile advertising opportunities and spending continue to rise year on year. Wide choice in choosing the mobile ad partner networks. Easy integration. Users dislike apps with a lot of ads. Bad user experience leading to possible uninstalls. Need to gain hundreds of thousands of downloads to make good earnings. In this model, you give away your app for free and make use of in-app purchases to generate revenue. In-app purchases involves users buying virtual items for a price. Depending upon the type of app these virtual items can be stickers, currency, weapons, extra lives, accessories etc. This kind of monetization model is very common in gaming apps. For example, Candy Crush, one of the most popular and top grossing games in Apple’s App Store makes around $1.5Million in revenue each day through in-app purchases. This model works well for apps not only in gaming but also in other categories too. Apps which follow this model have higher engagement with users. Potential to generate greater profits as user engagement and interaction grows. App stores take a cut from the revenue generated from in- app purchases. Users might get annoyed after a while as they have to keep paying to unlock or use certain features and portion of the app. In this model, users pay for your app in order to use it. Whether a user would pay for your app would also depend upon the category your application belongs to. App store data suggests that users prefer to pay for apps in categories like productivity, utility, education, and Music. You can price your app as low as Rs 10 or higher both in Google and Apple play stores. Tip: To showcase your app’s value in order to convince users in this model, you can come up with compelling screenshots, videos, description, and anything that highlights your app’s functionality. You can start earning money immediately with every download. You can focus on creating better user experience as you don’t have to put with ads. Higher perceived value/status in minds of users. Not easy to convince users to pay for your app because of competition from free apps. May lead to lesser downloads because of price barrier. This is one of the most popular monetization models implemented by app owners. In freemium model, you provide users with a functional app that has basic features for free. But, users would have to pay to access premium and more advanced features. Mobile apps falling under utility and software as a service(saas) categories implement freemium monetization models. 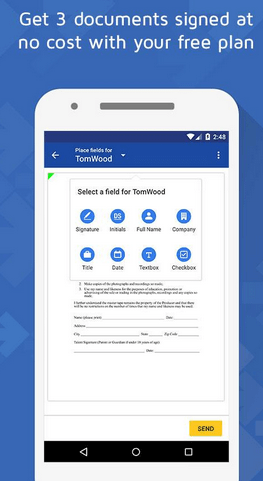 For example, DocuSign, a digital signature app allows users to sign and send 3 documents at no cost. But to access other premium features such as getting documents signed by others, personalized branding etc they charge users on a monthly or annual basis. Freemium app monetization model offers scope to attract large number of users as people get a chance to try out before purchasing. You can offer feature based freemium by limiting your app’s premium features or time based freemium by offering your app for a limited time. Offering too many app features for free will not create any further incentive for users to upgrade. Offering too little app features will not convince users enough to upgrade. Achieving that balance between offering too many or too little features can be tricky. Subscription monetization model for apps operates on generating revenues on a recurring basis i.e either monthly or annually. App owners opt for subscription model when they need a steady stream of income either to support their development costs or to support further scaling of their app. Subscription model looks similar to freemium model except that it focuses on confining content and not features. Apps adapting this model allow users to view a predetermined amount of content for free and then ask users to upgrade for a paid subscription to get more content, else risk losing access. This model which is becoming increasingly popular is best suited for news related apps. Ensures a steady stream of revenue on a monthly or annual basis. Subscribed users tend to be very loyal and long term users especially if their needs are met. This leads to lower app uninstalls and higher customer retention. Similar to freemium model, striking a balance on the right amount of content that should be confined can be tricky. More suited to app categories like news and other similar content based verticals. In incentivized ad model, app owners partner with advertisers who reward the users of the app for completing an action such as clicking on an ad, watching a video ad, taking a survey, engaging with a brand, registering for a new product etc. Essentially, these advertisers act as sponsors for your users by rewarding them with virtual currency for in app purchases, giving discount on app’s price, or providing a free upgrade to premium features of the app. This model works well for apps across all categories. Is a win-win for everyone since the model generates revenue for app owners, gives rewards for users, provides ad space and interactive users to advertisers. Need to gain mass user base of hundreds of thousands of users to make good earnings. Remember that there is no hard and fast rule that you have to implement these app monetization models as it is. You can always choose to combine them and try out different variations as you deem fit for your app. Tip: If you are not sure which monetization model suits your app best, then head over to Google play and Apple app stores and check out the the top apps in your category to see what models they are using. You might build and launch an awesome app but what good would it be if you can’t get downloads and people to use it. It’s a big myth that if you build a great app, people will automatically start flocking to your app in droves. In reality, you need to give it some push before people start noticing your app and it goes viral. But, there are millions of apps out there in Google and Apple app stores, so, how do you stand out and be a winner ? The answer lies in app marketing which is very important. If you can market your app right, you will be able to gain a large base of users. Today, when people are dealing with information overload and don’t have the time to check out every new app, a promotional video is a great way to get the word out there about your app in a short time and to compel them to download your app. You can create the video yourself using tools like Wideo,PlaceIt, RenderForest, Magisto, Animoto. Else, if you are interested in buying ready made app videos checkout videohive. Another alternative is to hire a freelancer who can do it for you. Sharing it on your playstore and appstore pages. Sharing the video on your social media accounts like Facebook, Twitter, Instagram, Quora, LinkedIn to let your friends and followers know about your app. Sending to app blogs like AppPicker who review your app, share it with their users, and help you get press. Put it up on your app website or your app landing page so that visitors can get a quick glimpse of what your app is about. ASO is the process of optimizing mobile apps to rank higher in appstore search results. Similar to Google search results, the better your rank in appstore, the higher the visibility of your app. Even today, 63% of mobile apps are discovered through app store searches. In this context, ASO or App store optimization plays a crucial role in driving traffic to your app store page and in boosting app downloads. Icon: Your app icon is the first thing a user notices. Design an icon that reflects your app’s function and communicates the message to user. Innovate and use a high quality image. Screenshots: Pictures are more powerful than words. The first thing a user notices once he finds your app along with app icon is the screenshots. See that your screenshots are sleek, beautiful, and reflect the functionality of your app. Title: Place the most relevant keyword in the title of your app as title plays a crucial role in discovery of your app. Keywords: choose keywords that are relevant and have high search popularity. Description: Once users find your app, you want to have a great description that compels users to downloads your app. Try to communicate your app’s USP in the first 3 lines itself. Here’s a detailed cheatsheet of app store optimization both for Google and iOS app stores from Apptamin. Just like creating a landing page to validate your app idea, it is important to have a website. Once you have built your app. Market data suggests that websites are one of the top sources to generate traffic to your app and to boost your app downloads. In addition, a website helps to establish your brand, gets you visibility in the online world, and builds trust among your visitors. You don’t have to know coding to create a website. There are two easy ways in which you can create a simple and a beautiful website. You can make use of landing page platforms like LeadPages, Unbounce etc to create a stylish website for your app. Just select a mobile app template of your choice to create a website with lot of screenshots, a promo video, reviews if available, and links to your app’s playstore and app store pages. For example, below is a screenshot of a mobile app template that you could use for creating your website. WordPress is a very popular website management tool that helps you to publish and manage content on your website. I described how to start your website in 5 minutes and configure it easily. Like in landing pages, do include a lot of screenshots, a promo video, reviews, and links to your app’s playstore and app store pages. Content marketing is a powerful strategy which you could use to acquire users. Content marketing involves creating high quality content that is valuable to your users. It helps you to attract and engage users and importantly helps to promote your app. Today, content marketing becomes all the more important as vast majority of people spend their time online searching for products including apps. Once you create your website, you can blog on interesting content related to your app. Writing such interesting content will surely bring visitors to your blog, establish your app as trustworthy, and make them curious to try out your app. Share the content on social media channels such as Facebook, Twitter, Quora, Reddit. Approach Platforms like YourStory, RodinHood, ProductHunt etc to publish a post talking about what problems your app is solving, the benefits of your app, and why should people use it. Use guest posting to acquire users for your app by identifying the top blogs your target users are visiting and reach out to them. Publish posts on their blog and add details of your bio and the download link to your app at the end of the post. Tip: Don’t try to aggressively sell your app through your content. Rather, try to provide useful content on interesting topics for your users, problems your users are facing, and connect it with how your app addresses them. For example, look at Fitbit, a fitness app focuses on creating content on fitness & health related topics. By following this strategy, you can build a strong relationship with your target users and you will become the go to source for the problems of your target users, which you are trying to address through your mobile app. Importantly, you can add a download link of your app in the middle of your blog post or at the end of the post, naturally blending it in, to acquire new users for your app. Paid ads help to target the right audience bringing you a lot of traffic and from that a ton of users for your app. Depending upon on your app, initially it is best to diversify your ads, test out the results, and finalize the channels that are working best for you. See that the paid ads you are running are cost efficient and are providing a return on investment. Facebook allows you to create ads for your app based on your target audience and then promotes your app accordingly in its mobile news feed. Each ad will be delivered as a sponsored story labeled Suggested App. People can like, comment, share and, most importantly, install your app with a simple tap. You can refer this Facebook page link on how to register your app with Facebook and create an ad for your app. Twitter is a great platform to spread awareness of your app, drive a ton of downloads, and build a strong user base. This makes having a twitter account for your business a must. Learn the basics of twitter marketing and using hashtags for broader reach of your messages. As part of your user acquisition strategy, you can make use of twitter ads for promoting your mobile app. Twitter ads get your tweets in front of audiences than just those who follow you. You can select your target audience by narrowing down on gender, location, interest, followers, keywords, mobile devices and set up your ad campaign. Once you setup the campaign you can create the tweets that you would like to promote. Tip: Make use of engaging content than pure text by attaching rich photos, videos, and other media experiences of your app to tweets, which will help to drive downloads of your mobile app. In app advertising done through paid ads is a great way to attract your target users and boost your app’s downloads. In-app paid ads are displayed within a mobile app in the form of banner ads, display ads, native ads, or video ads. It is important to make sure that your ad is reaching your target users and is showcased in a non invasive manner, creating an immersive experience. This is where mobile app networks come into picture. One of the most important things you need to do is to choose a competent and a powerful mobile ad partner network that will help you in achieving targeted downloads. Some of the best ad partner networks that you can explore are AdMob, InMobi, TapJoy, AirPush, MobFox, Millennial Media, AppLift. Depending upon your requirement, you can choose to pay CPM(Cost per Mile), CPC(Cost per Click), CPI(Cost per Install), CPA(Cost per Action), CPV(Cost per View). Starting your own business or launching your own mobile app can be tough, especially, if you are doing it on your own. I have provided you sufficient information and step by step guide to launch your app and acquire users. If you follow the strategies that I have articulated, you can avoid making mistakes, start better & faster, and launch your app in no time. It would definitely take some hard work and time on your part to launch your mobile app. But, remember not to wait for the right moment to start working on your app. I will send you insightful emails with the content that I don’t even publish on my blog. It never arrives. So, Start whenever. Start now. BRO SO MUCH INFORMATIVE,LONG AND AMAZING GUIDE!! I AM A BEGGINER DEVELOPER AND YOU MOTIVATED ME TO MAKE SOMETHING! !